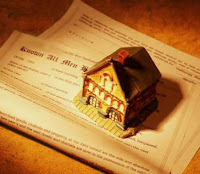 Two often used types of deeds include the Warranty Deed and Quitclaim Deed. The Warranty Deed guarantees that the transferring party owns clear title to the property while the Quitclaim Deed transfers only that interest in the real property which the transferor actually owns. A deed is a written document which transfers all or partial ownership in real property to someone else. The deed must describe the real property, name the person transferring the property, the person receiving the property and must be signed and notarized by the transferring person. Once signed and notarized, the deed must be recorded in the office of the local county records. What Does a General Warranty Deed Warrant? (3) The transferor warrants that he or she will defend title to the estate so that the transferee and the transferee's heirs and assigns may enjoy quiet and peaceable possession of the premises with the power to convey the property. What Does a Special Warranty Deed Warrant? In contrast to a general warranty deed, a special warranty deed limits the liability of the transferor in a manner similar to the Quitclaim Deed. Special warranty deeds are generally used by corporations or other entities that want to avoid assuming the liability of a general warranty deed. The transferor warrants that he or she did nothing to impair title during the period the transferor owned the property. While a special warranty deed may contain covenants of title, these covenants will usually cover only those claims arising by, through, or under the transferor. What Does a Quitclaim Deed Do? A Quitclaim Deed contains no warranties and the seller does not take on any liability to the purchaser for other recorded claims against the property. The purchaser takes the property subject to existing taxes, assessments, liens, encumbrances, covenants, conditions, restrictions, rights of way and easements of record. A person who obtains a mortgage is still liable for mortgage payments after executing a Quitclaim deed on the property securing the mortgage. The Quitclaim Deed is often used among family members or from one joint owner to the other when there is little question about existing ownership, or just to clear the title. A Quitclaim Deed conveys only such rights as the grantor has. A Warranty Deed conveys specifically described rights which together comprise good title. If the property is owned jointly, all owners must consent to the transfer. You cannot force a joint owner sign an instrument such as a Quitclaim Deed that would result in the forfeiture of the joint owner's interest in the property.